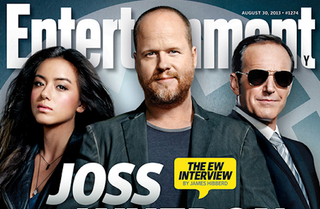 "The people who are ignored are the people I’ve been writing as my heroes from day one," Joss Whedon tells EW in a 10-page interview. Just in case you want more of Joss, "Objects in Space" was amongst his favorite eps ever, he tweets "Affleck'll crush it," and here is a video with 10 questions from Time.com. I remember when no one knew his name. Guess we'll see if fame helps. Too bad Firefly prospects are in deep freeze.